This will be the same CVT unit as the one on the Duster petrol, which the company launched in May 2017. 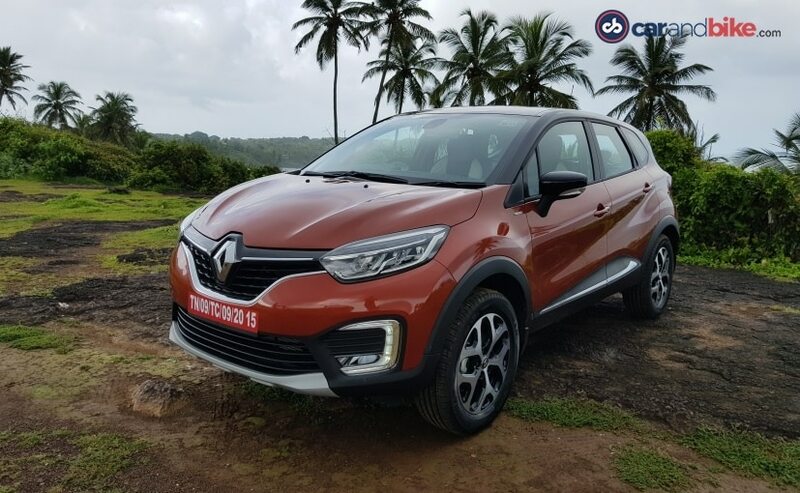 Renault India launched the Captur in India last year and though it was a feature rich offering, it hasn't really got the reception when compared to what the Duster received when it was launched. However, Renault India is not giving up on the product as there's a lot of potential for the compact SUV. The Captur is the company's flagship model and next year it will be made available with an automatic variant. The Captur is all set to get a CVT unit for the petrol variant and it'll be launched early next year. This will be the same unit as the one on the Duster petrol, which the company launched in May 2017. Already available in both petrol and diesel variants, the Captur goes up against the likes of the Hyundai Creta and its premium features add to the appeal of the car. The Captur comes with premium features like - projector headlamps, LED daytime running lights, a chrome grille, two-tone body colour option and much more. The top-end model comes with a well-equipped cabin with premium interior, leather upholstery, nice quality plastic for the panels and a centre console that houses a touchscreen infotainment system with audio and navigation. The interface is also similar to the one in the Duster, Lodgy, and even the Kwid, but there is no Apple CarPlay or Android Auto.